The main benefits to selling are obvious—you get a check at closing and you’re done with the property for good. It’s the more popular of the options for a reason—it is a short term commitment with no long-term responsibilities. The downsides to selling are that you are not building equity, you’ll have to pay for the holding costs while the property is on the market and you may be a little more open to taking a less than fair market value offer just to “get rid of it.” Best-case scenario, it sells within 30 days for fair market value and worst-case scenario, it languishes on the market for many months until you finally get a low-ball offer and accept it out of desperation. Luckily, in general, most homes priced right for the condition do not sit on the market long right now. The main benefits to renting it out are monthly income from the property and an increase in property value over time (equity). These are two big reasons because it involves money and money! 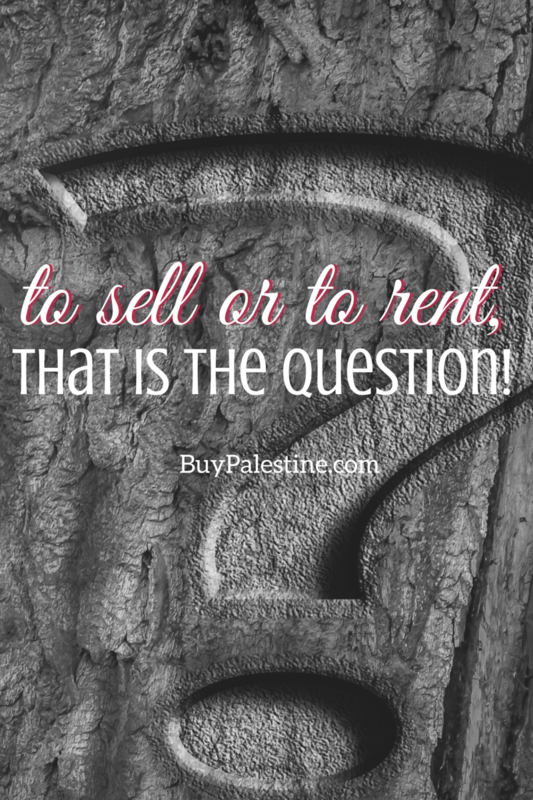 Of course, not everything can be so simple, and along with rentals come tenants. I’m not going to sugar coat it—rentals aren’t for everyone and not all rental situations end well. Unfortunately, most stories you have heard are probably grim warnings, but sometimes only bad news makes the press. A “bad” rental experience is possible, as rental property has inherent risks, but you can do many things to mitigate the risks and own a profitable rental. Renting can also be a great option for an owner who is moving for a short period of time (a short-term job assignment) or needs to move but can’t afford to sell the property and get the money owed on it in the current market. Do your own research and consult a professional property manager before you cross off this option entirely—don’t cross it off your list just because it seems like too much trouble. A little trouble can also send you a monthly check and buy you some time—you can always sell it later if you change your mind. Only consider what is best for your situation. Just because your BFF did it one way doesn’t necessarily mean that is what you should do. Weigh all the pros and cons and decide which approach is right for you. It is worth it to do a little research and call in a professional opinion to make the right decision for your lifestyle. Thankfully, you have options…which will you decide? Lisa E. Priest loves a good debate and is a local REALTOR® and Property Manager with Picket Fence Realty, Inc. You can reach her via phone or text at 903-948-3343 or at BuyPalestine.com.